Get a Driver Helpful DOT Physical Exam in Belleville, Illinois. Get great pricing for CDL Physicals and DOT related services. Our friendly and convenient office in Belleville, Illinois is located less than 30 miles from the St Louis Gateway Arch. Same day appointments are routine. We have over 100 parking spaces where trucks are welcome. Our building is ADA accessible and all on one level. With her extensive knowledge of the medical guidelines, Dr. Ann M Stock will steer you through the DOT physical exam requirements to Keep you Truckin’. Whether you are looking for a DOT Physical Exam, CDL Physical Exam, or a School Bus Physical, you’ve come to the right place! Want to know more? (Click Here) to access the FMCSA CMV Driver Fact Sheet regarding the DOT Physical Exam. Stock Chiropractic is located at 621 South Belt West in Belleville, Illinois. The South Belt West is also known as Route 13. In this area Route 13 runs parallel to Highway 15. We are located between exits 158 and 159. When exiting onto 158 there is a turnabout there, go 13 EAST. When you go East on the South Belt West there is a QuikTrip, then a small motel, houses, then a 5 plexus movie theater named the EDGE, we are across the street from them. If you take the 159 exit then a left turn to the west is need at the South Belt West. There is a Ford dealership - Auffenburg Ford, then Taco Bell we are about 3/4 of a mile down on the right. 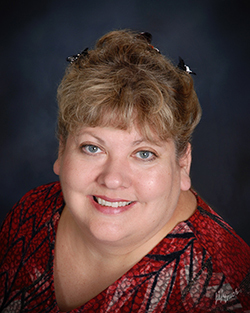 Dr. Ann Stock has been practicing in the Belleville area since 1986, she has been doing the DOT Physical Exams since 2006 and became a Board Certified Medical Examiner Listed on the National Registry since January 2013.